Thank you to everyone who visited us at the Winter Fancy Food Show. We were very happy to see so many of our returning customers, thank you for stopping by. We were also excited to meet all of our new customers who made the decision to go with Fantastic Juice and start their new fresh juice program. 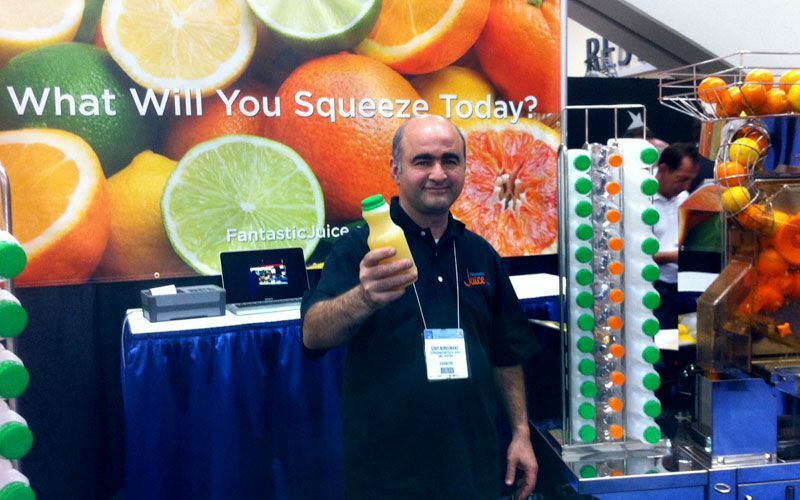 Look for Fantastic Juice at The NAFEM Show in Orlando, Florida February 7-9, 2013. The NAFEM Show offer a wide range of foodservice equipment and supplies solutions from more than 500 exhibitors are on display for you to see. Get up close and personal with the products and manufacturers prepared to position you for success. We hope to see you there.